Merchantman was a late frigate of 1018 tons. She was three-masted with an oak hull and specifications: length 175 ft., breadth 34 ft., depth 22 ft. with a draft of 17 ft. . This was the first voyage Merchantman made to Western Australia with a consignment of convicts. Merchantman was built at Sunderland in 1852 by Sir James Laing (1823-1901) at his yard located on the south bank at a bend of the River Wear at a site known as Deptford. This is not to be confused with Deptford in the east end of London on the Thames from which ships often left for Australia. Laing had followed in his father’s footsteps as a major shipbuilder on the river and became Chairman of the River Wear Commission. He was also a director of the Suez Canal Company; he was knighted in 1897. Merchantman was built by Laing for owners Somes Bros. of London (later the Merchant Shipping Company). The brothers were sons of the famous Joseph Somes (1787-1845), an ‘India-husband’ (owner of Hon. 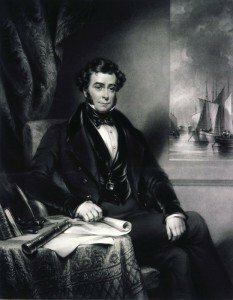 East India Company ships), owner of many fine ships from early in the 19th century and a great supporter of Lloyds Register. Merchantman was launched on July 29, 1852 (official number 911) and her first voyage appears in Lloyds Register in 1853/54 sailing from London to Bombay. The 1863 voyage was the first of two as a convict transport to Western Australia. 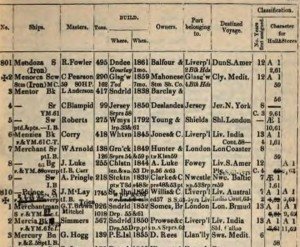 She left London on October 12, 1862 bound for the Swan River Colony, stopping at Bermuda where 191 male convicts, 50 enrolled pensioners, their wives and families embarked. 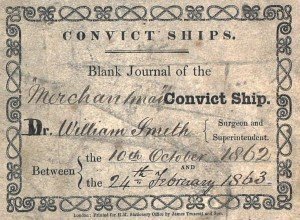 On this voyage the Merchantman took 125 days and arrived in Fremantle on February 14, 1863 with 192 convicts assigned for the voyage. One convict died in Bermuda, and another died soon after arrival in the Convict Establishment Hospital. William Gardiner and William Smith were the captain and surgeon respectively. Also on board were 50 men of the enrolled pensioner force and their families and eight prison warders, some with families. Five of the convicts on board had seen Army service and had been court martialled for various offences. 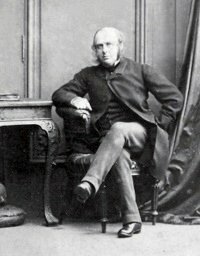 At least one of them, William Park, had served in the Crimean War in the 62nd (Wiltshire) Regiment. He had been convicted by court martial at Halifax, Nova Scotia in August 1857 for striking his superior officer and was sentenced to life penal servitude. Nineteen of the enrolled pensioner force were Crimean War veterans, all former infantrymen who had discharged to pension. 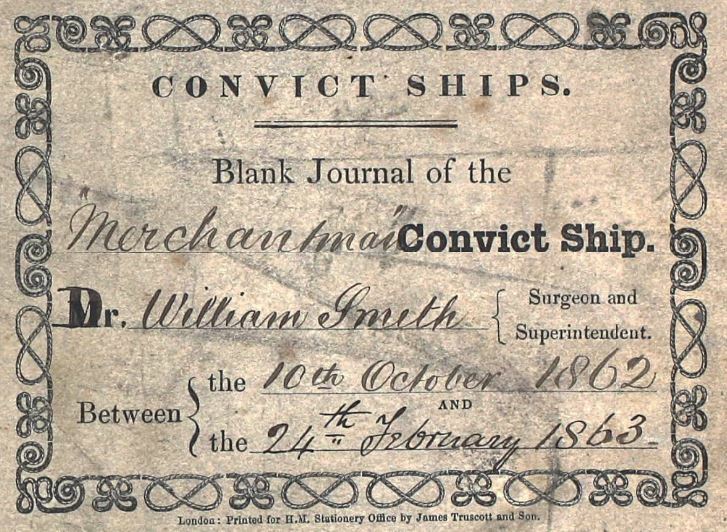 Dr William Smith’s surgeon’s journal for the voyage is preserved in the National Archives, Kew. Researchers can view a copy on the Australian Joint Copying Project (AJCP) microfilm reel 3181 which is held in most major libraries and archives throughout Australia. It can also be accessed by subscription on the ancestry.co.uk website. 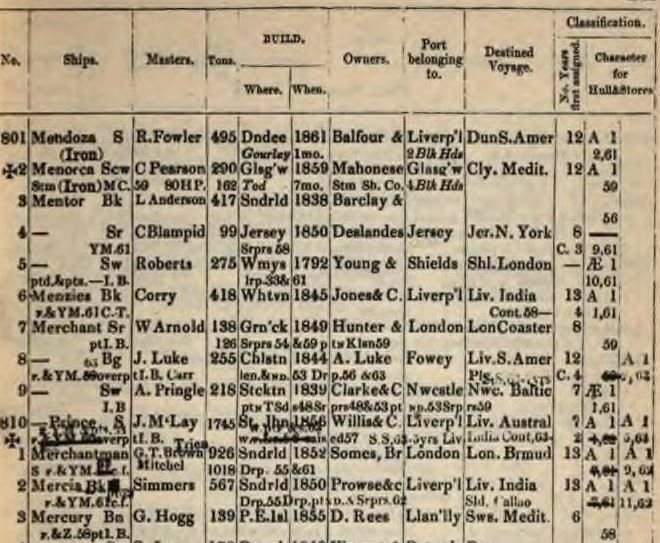 Click on link to see the National Archives transcribed Medical Journal contents (including deaths) on board Merchantman. Inquirer & Commercial News 18 Feb 1863. Perth Gazette & Independent Journal of Politics & News 27 Feb 1863. The National Archives, Kew ADM 101/255/1A.